To stay on course in life, one needs to recognize the season he is in, to stay persistent in prayer and to remember the promises of God. 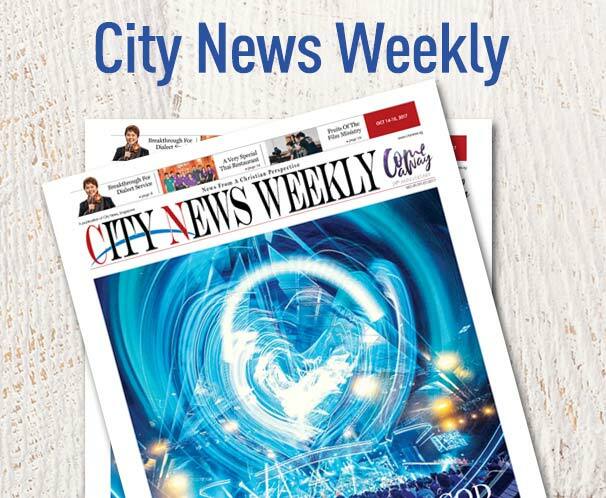 The weekend of May 20-12 saw three City Harvest Church pastors sharing three timely messages. Difficult seasons eventually lead to a greater promise, preached CHC pastor Wu Yuzhuang at the first of five services last weekend. Wu shared a relevant word on the different seasons in a Christian life and what each season means. Quoting Genesis 1:14, Wu said God created different seasons from the beginning of time. Just as a year has four seasons–spring, summer, autumn, and winter—and each season has its unique climatic conditions, every Christian goes through seasons with different experiences. “There is a season for studying, a season for dating, a season of difficulty, and a season for promotion,” he said. Drawing from Ecclesiastes 3:1, Wu noted that there is a reason for every season. He went on to share an interesting phenomenon called the Bleeding of the Vine. When winter approaches, farmers would prune their trees and shrubs by trimming their branches or stems to prepare for a new season of flowers. In the process, up to five liters of water would ooze out from the buds as though the plant is crying. “We, like the bud, must endure pruning and hardship to bear fruit (John 15:2),” the pastor explained. He shared the testimony of his member Cheng, who declared bankrupt after his gambling addiction got the better of him. Cheng had reached a point of utter despair and considered ending his life when his son Jared invited him to CHC. With much struggle, Cheng overcame his addiction and cleared all his debts. Today, he serves as a cell group leader in church and owns two thriving businesses. Seasons of hardship will eventually lead to seasons of blessings, said Wu. “God has already factored in the mistakes in your life. Just don’t give up!” He encouraged the church to stay rooted in the God’s word and worship during dry seasons. When one is ready, God will change the season (Psalms 74:16-17, Daniel 2:21). 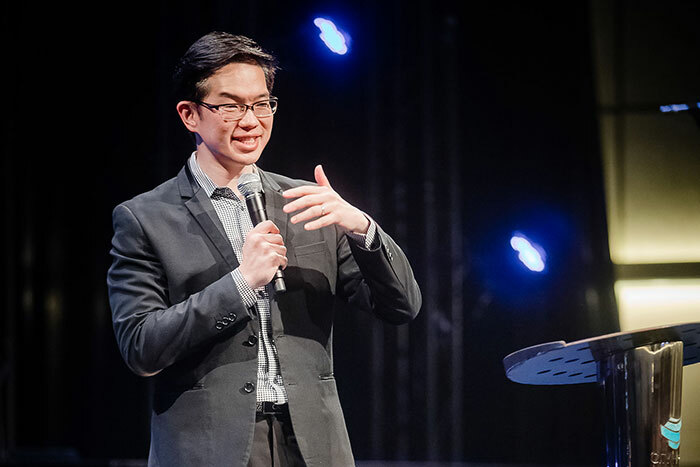 The next service saw executive pastor Bobby Chaw continuing on a series of messages on the disciples after the crucifixion. In his last message, Chaw encouraged the church to be faithful witnesses for Christ. In the first chapter of Acts, the disciples obeyed Jesus and gathered in the upper room to pray. Their persistent prayer resulted in the outpouring of the Holy Spirit to come upon them on the Day of Pentecost. The first parable was found in Luke 18:1-8, where a persistent widow had an adversary. She kept going to the judge until he avenged her. Jesus was teaching the disciples to overcome their adversaries with persistent prayer. The word “comes” in verse 8 is parousia in Greek. It means presence or arrival of an important person. Chaw explained that Jesus wants His disciples to keep praying until He returns for them. The pastor demonstrated this by asking the congregation to clap until an imaginary VIP, role-played by Chaw himself, arrived. “What do you do if the VIP doesn’t show up? You just keep clapping until he arrives. That is what Jesus wants us to do: to keep praying until parousia happens,” he explained. In the same parable, Jesus went on to compare the prayers of a tax collectors and the Pharisee. This next story had to do with the importance of having the correct attitude. The attitude of the tax collector is an act of humility before God. The second parable was found in Luke 11:1-14, where a friend came knocking on the doors at midnight. He had his request granted not because of friendship, but because his friend was tired of his continuous asking. The word “persistence” in Greek is anaideia, which mean shameless persistence. Chaw ended his sermon with the story of Susanna Wesley who suffered many hardships in life. She had 19 children but only 10 survived. She managed to pull through all her challenges, and she raised John Wesley, the founder of Wesley Methodist Church. Together with his brother, Charles, John Wesley preached to millions and evangelized to the world with their music. The third service saw Pastor Choong Tsih Ming encouraging the church to recall the promises given to them. 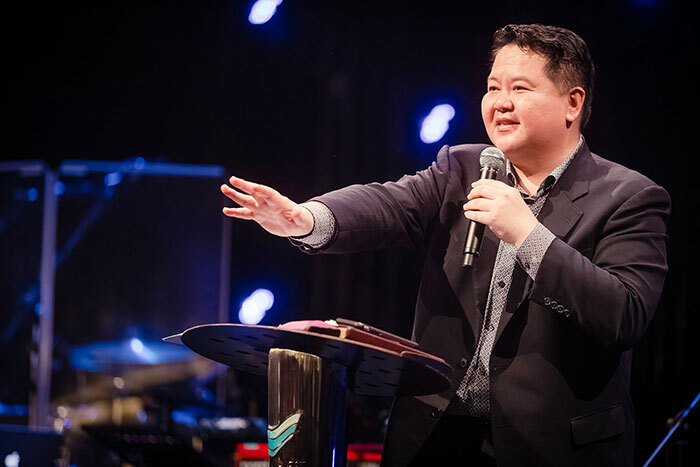 Sharing from Luke 24:13-27, Choong compared the two disciples’ despair following Jesus’ death to the discouragement of church members following the trial of church leaders over the last seven years. As the story goes, the disciples left Jerusalem, effectively withdrawing themselves from key relationships. They began to reason among themselves about the events that preceding their leader’s crucifixion. Jesus Himself came alongside and drew close to them. He wanted to comfort and remind them about the promises in the Scriptures concerning His necessary death and eventual resurrection. The disciples, however, failed to recognize Jesus. “Reasoning leads us to the mind and shuts down revelations,” Choong explained. Jesus began to share the Scriptures with the disciples, “beginning at Moses and all the Prophets”. Choong pointed out that when one is tempted to resort to human reasoning and overlook revelation, one must recall and reflect on God’s promises. Choong went on to share the beginnings of his journey with CHC, how he came to Christ and how he met CHC’s senior pastor, Kong Hee. One evening during his personal devotion as a young man, Choong heard the Holy Spirit tell him three things: one, that Kong, his then cell group leader, would pastor his own church. Two, that his cell group would eventually grow into a church. Three, that that church would have tremendous international influence. 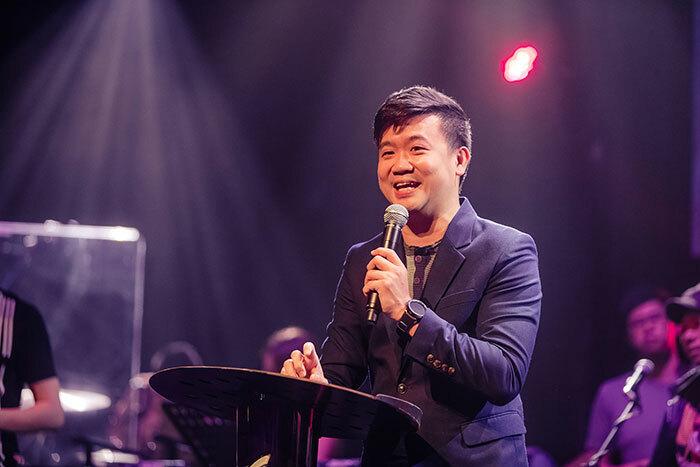 Choong readily forgot these revelations but 10 years later, when CHC moved into Hollywood Theatre, the Holy Spirit reminded him of those promises which had by then come to pass. More than two decades later, the same three promises hold true. Choong believes that the church is on the brink of a “great awakening”, the next great revival foretold in three prophecies. First is the late Bob Jones’ prophecy of 1983 that there would be a “billion soul harvest” after the legalization of gay marriage in the United States, the invention of the “morning-after pill” and a watch with telecasting capabilities—as Choong pointed out, the Apple Watch. Second was evangelist Smith Wigglesworth’s prophecy that the next great revival would take place 110 years after the Azusa Street revival that began in 1906. If true, Choong said, this great revival will take place between now and 2022. Finally, there was the prophecy by Yonggi Cho, founder of Yoido Full Gospel Church in May 2010. Cho had said that CHC would become the largest church in the world, one that would raise a generation of young people to take the world by storm. In view of these, Choong encouraged the church to continue committing themselves to prayer and evangelistic outreach, instead of withdrawing into reasoning and doubt.